Acrobat Reader is required for articles in Acrobat (PDF) format. Hong Kong J. Dermatol. Venereol. 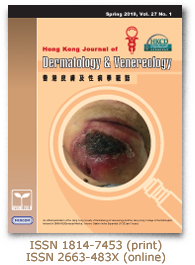 ©2019 The Hong Kong Society of Dermatology and Venereology.